still looking for scans of TIGER FORCE tunnel rat, sneak peek, and blizzard! Hello I am looking for Tiger Force (Tunnel Rat, Sneak Peek, and Hit and Run) cardback fronts... pm me if you have these! do you have the fronts? I am in search of some high res scans of tiger force cardbacks front & backs (sneak peek, Hit & run, and tunnel rat), let me know if anyone has these! 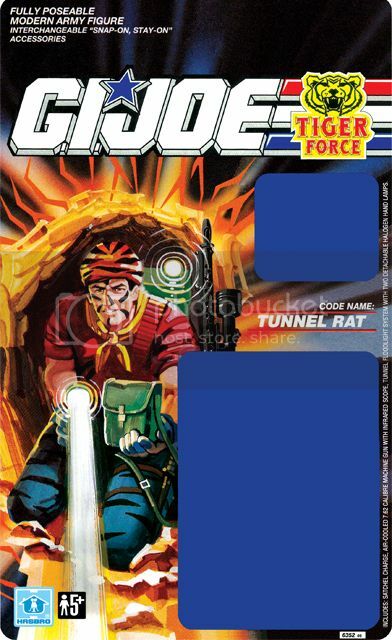 Dose anyone have scans of the tiger force (tunnel rat, sneak peek, and hit & run) cardbacks?